The entire AMD Ryzen processor lineup has leaked out and will feature up to 17 various models, utilizing the Zen core architecture. AMD’s Ryzen series processors will be aimed at enthusiasts and would be introduced on the new AM4 platform in early March 2017. The AMD Ryzen processors are said to be branded as R7, R5 and R3 series. Internally, these chips are branded as AMD SR7, SR5 and SR3. SR here stands for Summit Ridge which is now the branding of the entire platform. 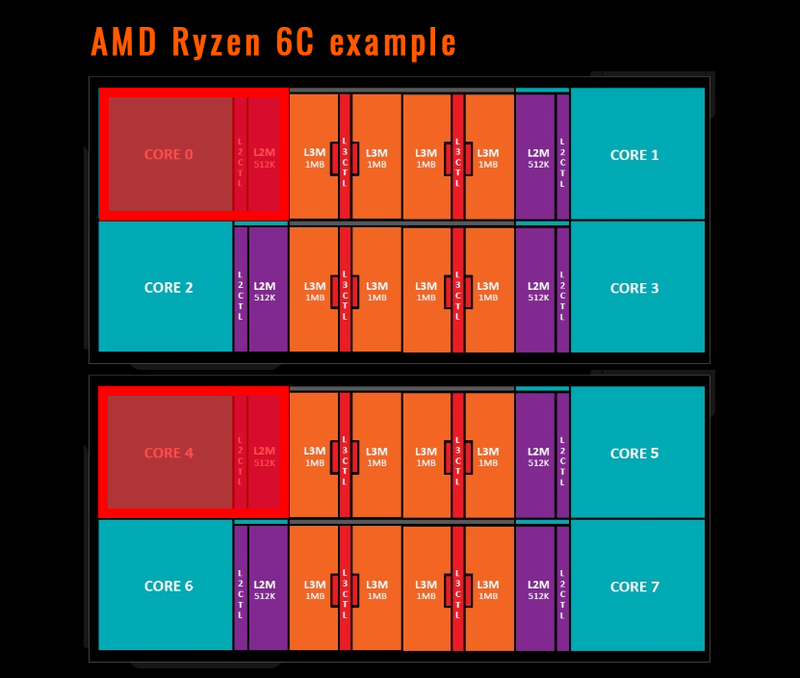 The first processors to launch in the Ryzen lineup would use the R7 branding and would feature 8 core variants. 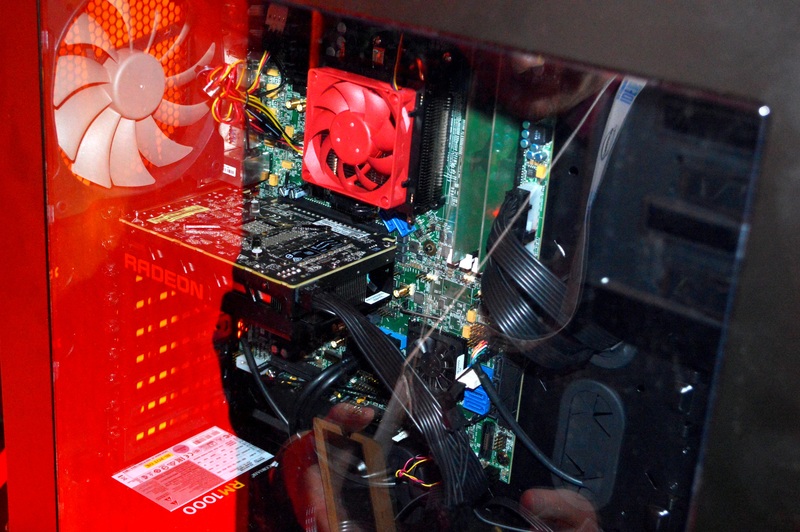 These are the top-end processors which will be selling at enthusiast level prices. 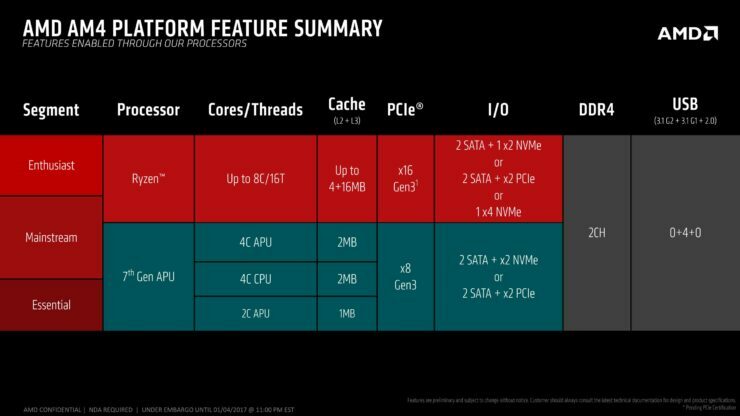 The Zen SR5 and Zen SR3 will be the more price optimized CPUs. 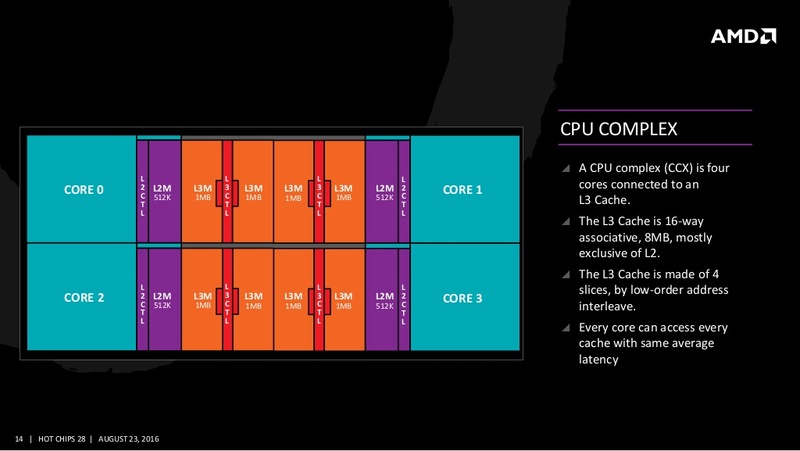 These processors will consist of 6 and 4 core variants. Each series will feature an “X” model which is more tuned for better overclocking results. Specifics about these variants are not known but these could not be the only unlocked models. These could be elusive “Black Edition” models which AMD have had in their previous CPU lineups. 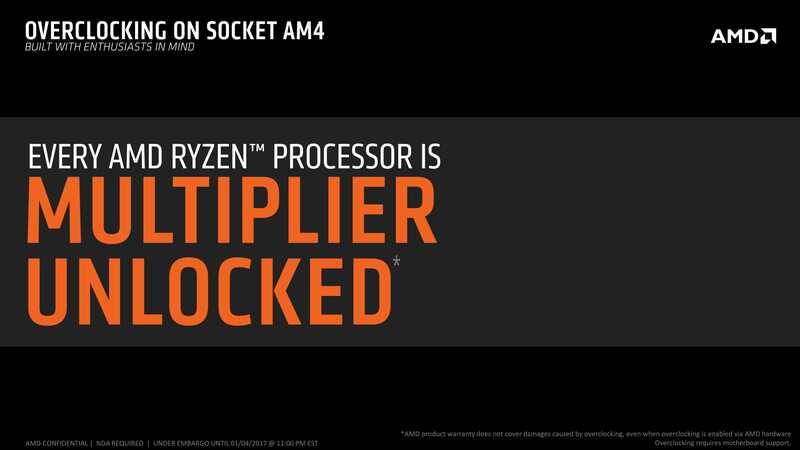 AMD had already confirmed that all of their Zen processors feature an unlocked multiplier. But there have been hints that AMD will have special overclocking models in the Ryzen family. There are up to 17 models in the lineup so let’s get into the details. The AMD Ryzen R7 lineup would feature the fastest “X” variant in the lineup. This processor would be known as the AMD R7 1800X processor and would feature 8 cores and 16 threads. This model is expected to operate at base clocks of 3.6 GHz and boost clocks of 4.0 GHz. The performance of this processor should be on par with Intel’s Core i7-6900K. Other details include an L2 + L3 cache of 20 MB (4 MB + 16 MB) and a TDP of 95W. The chip will have enthusiast level pricing so expect something around $499-$699 US. The rest of the processors in the R7 family are also 8 core and 16 threaded variants. The R7 series has clock speeds ranging from 3.0 GHz and up to 3.6 GHz. The processors include R7 PRO 1800, R7 1700X, R7 1700 and R7 PRO 1700. The AMD R7 1700X will tackle the Intel Core i7-7700K and Core i7-6800K chips while the simple R7 1700 will tackle the Core i7-7700 (Non-K). Next in the lineup is the AMD Ryzen R6 series which will be a mix of 6 core and 4 core models with SMT. The Ryzen R5 series will include the AMD R5 1600X which is the fastest 6 core model. This model will have clocks configured at up to 3.5 GHz base and 3.9 GHz boost. Rest of the lineup includes the R5 PRO 1600, R5 1500, R5 PRO 1500, R5 1400X, R5 PRO 1400, R5 1300 and the R5 PRO 1300. The R5 1400X will be the fastest 4 core, 8 thread chip. Clock speeds cannot be determined for the R5 1400X model. What it is mentioned is that the R5 1600X will tackle the Core i5-7600K, the R5 PRO 1600 will tackle the Core i5-7600 (Non-K) and the R5 1500 will tackle the Core i5-7500 (Non-K). The AMD R5-1400X will compete against the Core i5-7400 (Non-K) chip. We have already confirmed multiple variants for the Ryzen lineup which will feature clock speeds of 3.7 GHz and 4.0 GHz boost. These will arrive in both 8 core and 6 core models. More details on them here. Last in the lineup would be the Ryzen R3 series which are simple quad core models without SMT support. The R3 series are the only models that don’t feature SMT support and will be the entry level models which will be designed to compete against the Intel Core i3 and Pentium series processors. The fastest model in the lineup would be the AMD R3 1200X which would feature 4 cores, 4 threads and a base clock of 3.4 GHz which may boost beyond 4 GHz. Rest of the lineup includes the AMD R3 PRO 1200, AMD R3 1100 and the R3 PRO 1100. The frequencies of the R3 series lineup will range between 3.1 GHz and 3.4 GHz (boost clocks). Expect TDP to be low on these chips along with the prices. 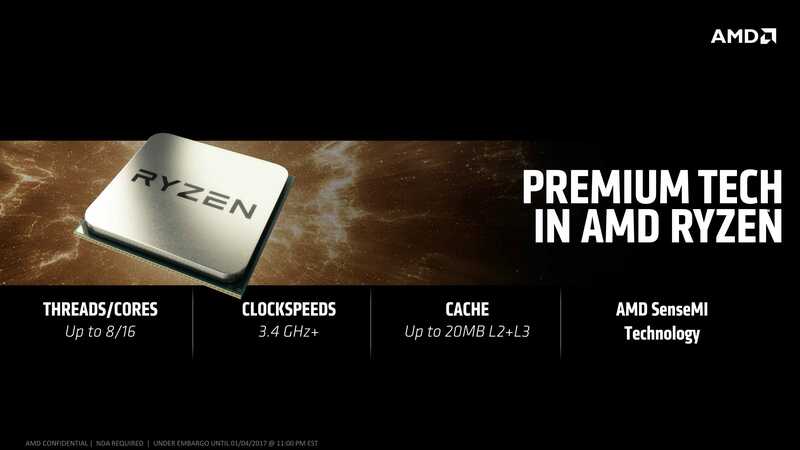 It is also stated in the new leak that the AMD Ryzen processors will be introduced on 2nd March, 2017. 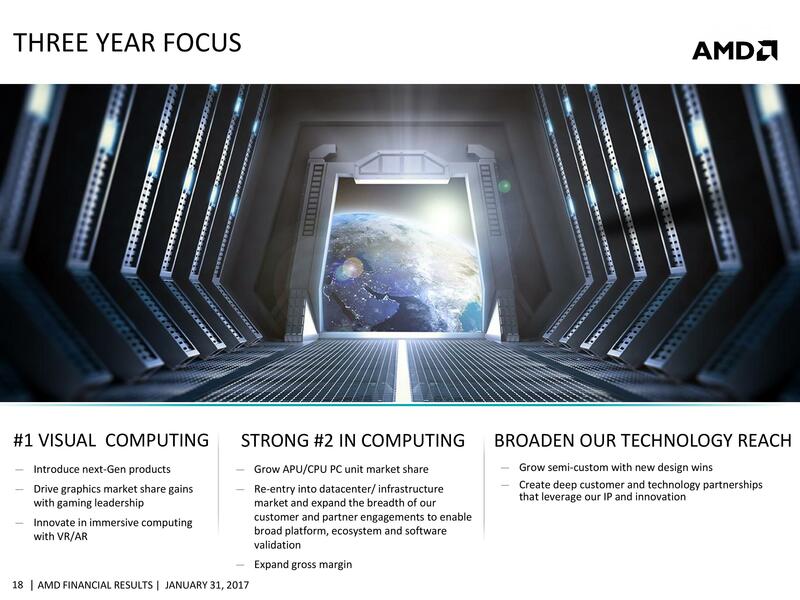 This does confirm a GDC 2017 launch and the recent confirmation by AMD that the platform launches in Early March. 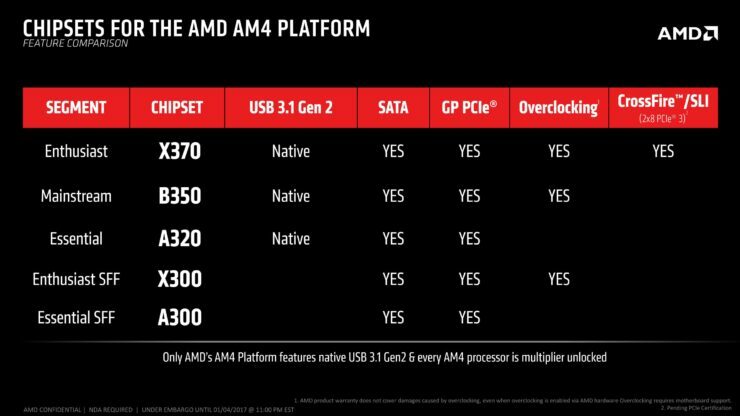 The leak also mentions that only the AMD R7 series would be initially available for the AM4 platform. The other processors would be announced at the launch event but not make their way to the market until a later time frame. 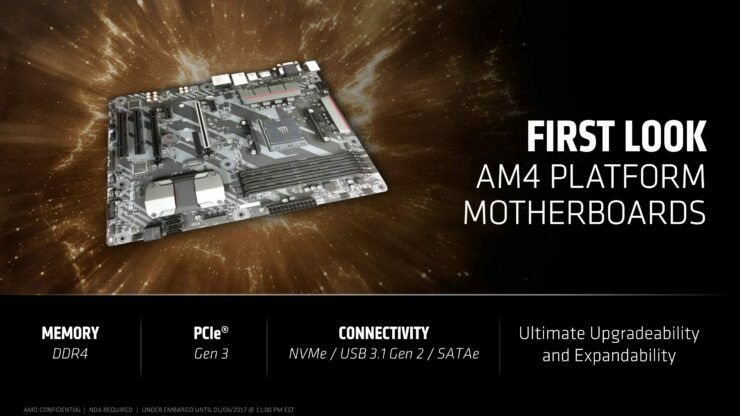 Users will be able to purchase from a range of AM4 motherboards based on the 300-series chipsets (X370, B250, A320). 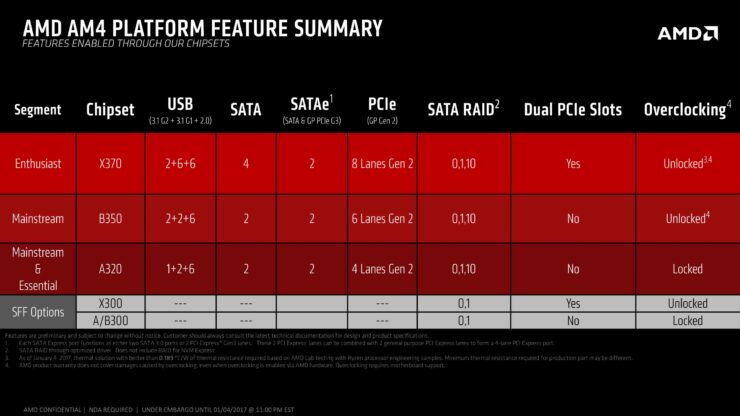 As for the platform itself, AM4 X370 will be top of the line. Aside from the budget friendly B350 and A320 chips, the X370 PCH will offer increased PCIe lanes and increased storage / connectivity features. 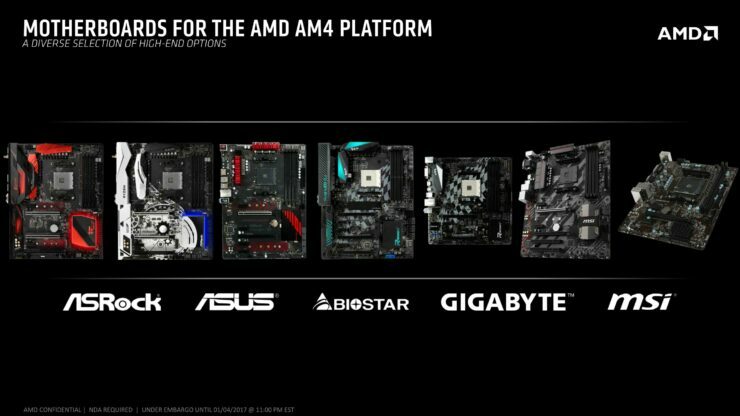 AMD has planned a total of 16 new AM4 motherboards which will be available at launch through their partners. The boards are detailed in our post here. We hope to see more details on the Ryzen processors in the coming weeks. Benchmarks of the 8 core flagship model have already leaked out so it won’t be long before we look at more gaming and synthetic benchmarks of the upcoming processors.